Choosing the right lift for your heavy vehicles may seem difficult. You should always select an auto lift installation company that meets ANSI/ALI safety standards. These trusted companies carry an ALI certified label, which indicates that it has been tested to meet safety and performance standards. Chesapeake Automotive Equipment offers the safest lifts in the industry backed by industry certification. Check out our Challenger lifts. You should never overload your lift beyond the weight limit. It is crucial that you purchase an auto lift that is capable of bearing the weight of your specific vehicle. Be sure to know the exact weight of the vehicle you plan on lifting, as well as the maximum weight capacity of the lift you are using. Safety experts also recommend training for any of your staff members who may be operating a lift. 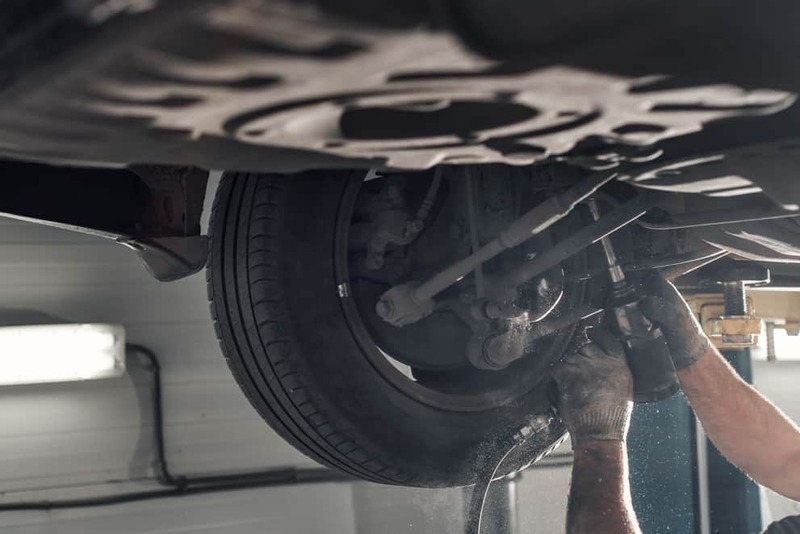 Companies such as the Automotive Lift Institute offer online courses designed to teach the participant the important safety details that are necessary when operating a lift. After completion of this course, participants will receive certification in lift safety. Learn more about this course here or order a hard copies of their lift safety manual here. It is necessary to have in-depth knowledge about all of the safety features on auto lifts so that you can operate them without any trouble. When your distributor comes to install your lift, learn about each safety feature to avoid any accidents. Also, update safety training regularly, so that you will be able to use your specific lift properly. Every lift requires upkeep and repairs, even if the lift is well-engineered. It’s recommended that you maintain your lift to ensure safety for the auto lift operator. Also, make sure that whenever you add or replace parts, you get prior approval from the original manufacturer. It is possible that counterfeit accessories do not meet the specific requirements needed for your lift, which creates a risk. It’s very important to make sure you have the appropriate parts when installing new components into a complex mechanical system for the purpose of lifting a heavy vehicle. Chesapeake Automotive Equipment provides top-of-the-line general shop and automotive equipment to commercial automotive-related businesses ranging from independent auto collision and repair shops to heavy-duty repair facilities to auto dealership groups along the East Coast. The company’s product line includes Hunter Engineering alignment systems, wheel balancers, tire changers, brake lathes and inspection systems; Pro-Spot welding equipment and sanders; Challenger lifts; Champion air compressors; USI spray booths; Yellow Jacket A/C equipment; and Shure Manufacturing workbench systems, shop equipment, and storage systems. In addition to products, our expert staff provides training and service. For more helpful advice or information about our services, visit us at www.chesautoequip.com.